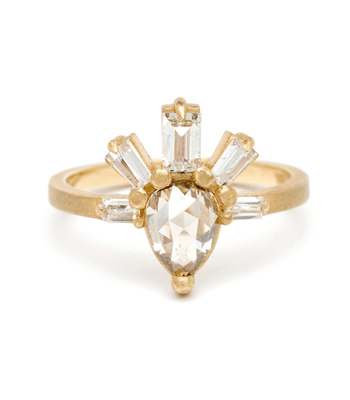 Daring and delicious, this one-of-a-kind stunner boasts over 1.15 carats of shimmering diamonds set in 18k matte gold. 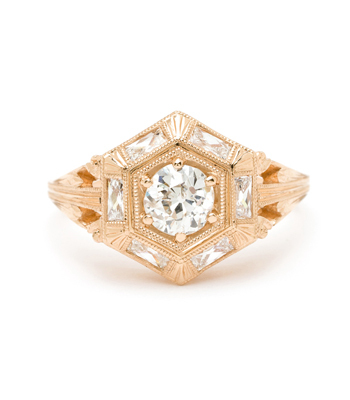 Four baguette and trillion cut diamonds laid out in a hexagonal pattern create a bold, sparkling centerpiece that contrasts nicely on a razor-thin micro-pavé diamond band. 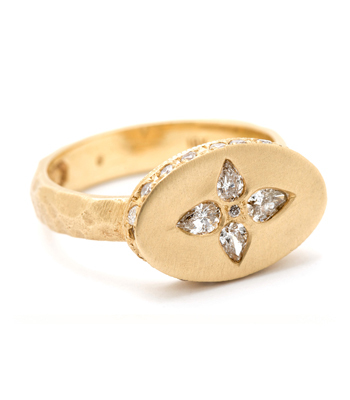 A simple gold bezel encompasses the center stones, raised enough to allow for stacking. 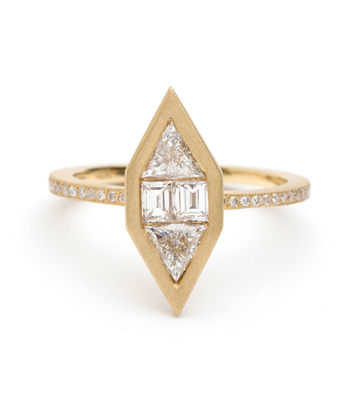 Art Deco inspiration meets a cool, modern style…this striking beauty is not for the faint of heart!